MANILA, Philippines - Kim Kyu Jong, member of boy band SS501, has surprised his fans by announcing that he would be enlisting in the Korean army in July. He posted a handwritten letter addressed to his fans on his official website on June 1 to break the news. 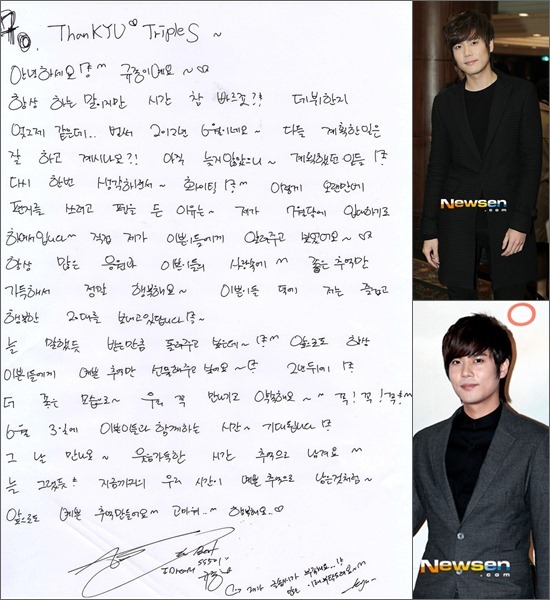 Starting with "ThanKYU Triple S," Kim Kyu Jong told fans that "I always say this but doesn’t time fly by, it feels like only yesterday I debuted but it is already June 2012. Is everything you planned going well? It isn’t too late for all of you to ‘hwaiting’ while thinking about the things you planned," according to a translation by fan forum Soompi. "The reason I am writing you this letter is to let you know that I am going to enlist in July. I wanted to tell you Pretties myself,” said the 25-year-old singer and actor. According to Korean media, Kim Kyu Jong will undergo four weeks of basic military training and will serve as public service personnel for almost two years based on his medical history. “I was always happy because of the good memories because of the support and love from you Pretties. Because of you Pretties, my 20s are happy and enjoyable. Like I always say I want to give back as much as I received, and from now on I only want to gift you pretty memories. Let’s promise to meet, when we have improved more as individuals,” he added. Before his enlistment, Kim Kyu Jong will hold a fan meeting on June 3 at the Yonsei University auditorium. “I am looking forward to the time we will spend together June 3. We will meet that day. Let’s make a memory that is full of laughter. Just like the time we spent together is pretty, let us continue to make pretty memories in the future," he added. 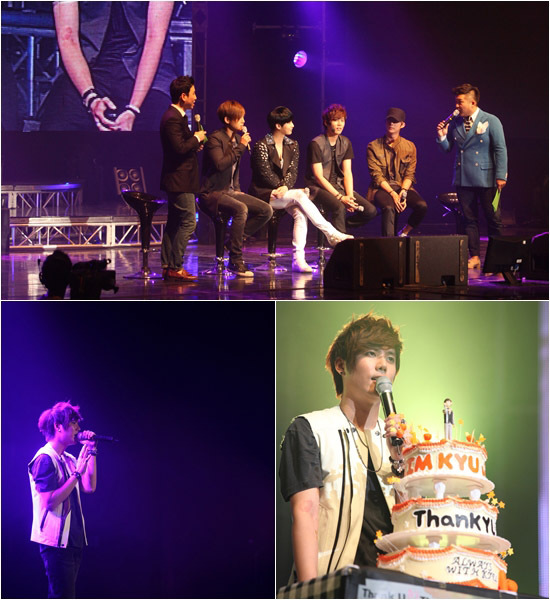 Kim Kyu Jong debuted in 2005 as member of SS501. When his contract with DSP Media expired in 2010, he signed up with B2M Entertainment and started his solo career. Last year, he released his first mini-album "Turn Me On."